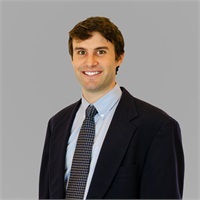 Connor Regan has been with us since 2016 and is the go-to contact regarding our eMoney financial planning software. He enjoys building financial plans, modeling “what-if” scenarios, and working to help clients best utilize the platform. He understands clients are very busy and / or are technophes and makes staying connected with your finances very easy. If you ask him what he values most about his role, he will tell you that it is giving the clients he works with to help see their entire plan and financial picture in one place. Connor graduated from Bates College with a degree in economics. In addition to his studies, he was captain of the NCAA Nordic Ski Team. In his free time he loves to explore the outdoors back home in Maine and compete athletically (including his recent completion of the Boston Marathon in the pouring rain in 2018 and the Philadelphia Marathon in 2017). In his free time, he can be found engaging in a number of activities including running, skiing, playing pond hockey, and biking.